Logan Lockner looks at Radamés “Juni” Figueroa’s practice, which aims to “tropicalize” museums and galleries. Radamés “Juni” Figueroa, Tropical Readymade, 2015. Mixed media. Courtesy the artist and ltd los angeles. Earnestly playful as much as it is politically urgent, the work of artist Radamés “Juni” Figueroa incorporates sculpture, architecture, drawing, and painting to create social environments intended to evoke the experience of living—as Figueroa himself does—in Puerto Rico’s capital, San Juan. Though these projects generally include some form of object-making, often involving several collaborators or using found materials, the most significant product of Figueroa’s artworks is atmospheric. 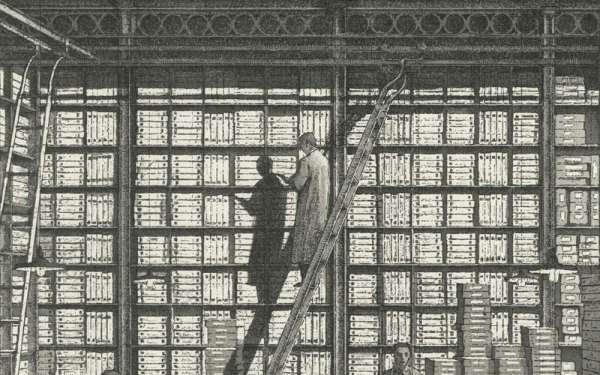 Celebrating, challenging, and subverting these stereotypes is central to Figueroa’s work, which he has described as “tropicalizing” institutional spaces such as galleries and museums. This tropicalization occurs by directly refashioning common images of island life and by creating a more encompassing atmosphere that exudes a sense of Caribbeanness. Radamés “Juni” Figueroa, Piña-Melón Fountain, 2009. Courtesy the artist and ltd los angeles. 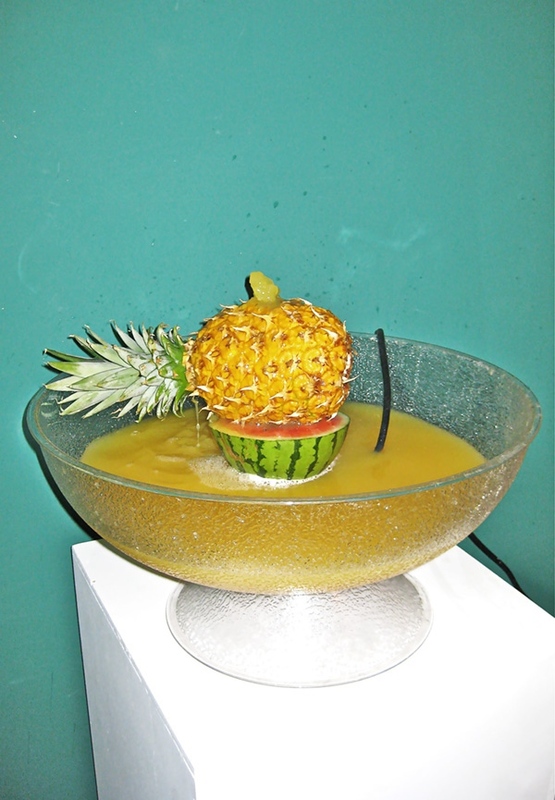 The seemingly overabundant rum and fruit juice in Figueroa’s 2009 sculpture Piña-Melón Fountain—which uses a pump to continuously circulate the liquid through a lopsided tower of fruit held in a punch bowl—demonstrates how both colonial trade and contemporary travel have imagined the Caribbean as a utopia of infinite resources and inexhaustible labor. However, Figueroa would also likely generously scoop out a cupful of the drink for a passing viewer. For a decade, his work has repeated such dual gestures on a larger scale, examining Caribbean stereotypes with critical humor while reclaiming notions of tropical leisure from colonialism and tourism. Figueroa is perhaps best known for his Tropical Readymades, in which mass-produced commodities such as athletic shoes and basketballs are displayed as artworks or repurposed as containers for potted plants. (One particularly cheeky work comprises a marijuana plant growing out of a worn sneaker, displayed with a grow light in a foil-wrapped shoe box.) Through these juxtapositions, Figueroa suggests that the secondhand flotsam of mainland American pop culture and sports has become just as endemic to Puerto Rico as the lush plant life that has come to define much of the tropics. The tropical readymades also serve as a sinister reminder of the long-standing and ongoing commodification of the Caribbean itself: its people, its territories, and its resources. As European empires and economies expanded during early modernity, demand for goods like sugar and rum depended upon the exploitation of the Caribbean and its people, setting the stage for burgeoning global capitalism—the forces of which would eventually deliver Nikes to the streets of San Juan centuries later. In 2011, Figueroa worked with de la Barra to organize the first Gran Bienal Tropical on a San Juan beach. In addition to serving as the biennial’s co-curator, Figueroa also exhibited artwork including Rainbow, 2011, a sculpture made from colorful pipes bent in an arc between a pair of buckets. However willing he may be to indulge such romanticized, oversimplified images, like a rainbow, Figueroa ultimately gets the last laugh: depicting this illusory paradise with crude, readily available materials like spray paint and concrete. Installation view of Radamés “Juni” Figueroa’s Please Hold Me, 2015, at Taymour Grahne, New York. Courtesy the artist and ltd los angeles. In 2013, Figueroa worked with collaborators to construct Tree House – Club House, a large-scale architectural installation in Naguabo, Puerto Rico, incorporating bamboo and wood from the surrounding forest along with plastic and glass salvaged from San Juan. The structure’s design bore influences from the sometimes improvisatory architecture Figueroa noted throughout Puerto Rico and also the austere style of Brutalism (Figueroa’s space even included a chair designed by Marcel Breuer). For Figueroa, the structure’s construction was secondary to the social space being enacted; Tree House – Club House was not only an installation, but also a place to dance and drink, to make new friends, and—through work and play—to collectively create something outside of systems of commercialized production. Figueroa completed a similar architectural installation in the sculpture garden of the Whitney for the museum’s 2014 biennial, and another at New York’s SculptureCenter that same year. 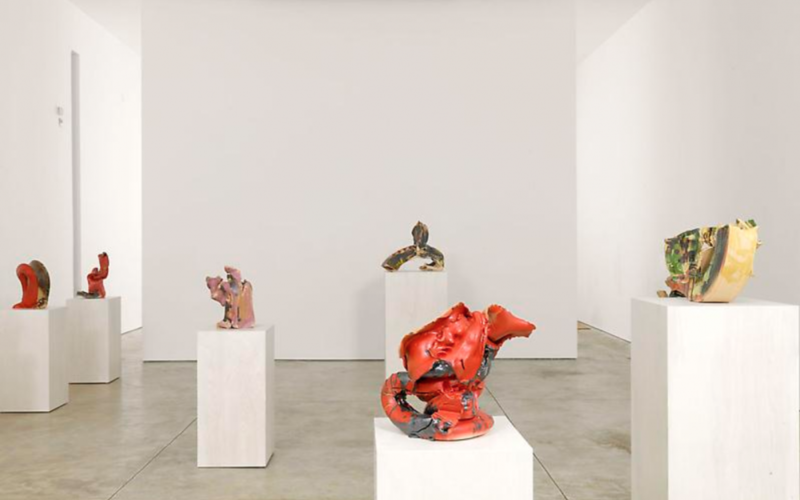 By the following September, when his exhibition “Current Times, Savage Times” was exhibited at Taymour Grahne Gallery in New York, Figueroa’s engagement with the ecological and economic crises facing Puerto Rico had become startlingly direct. 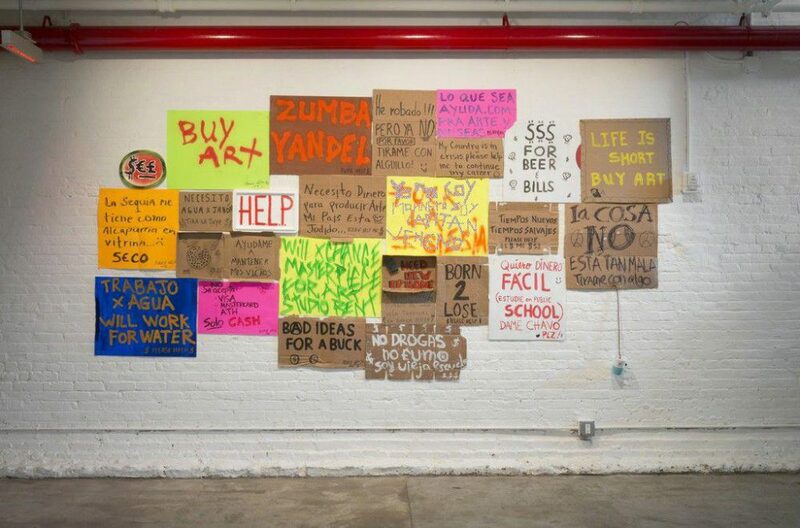 Across from a wall displaying several of his Tropical Readymades, Figueroa’s installation Please Hold Me, 2015, resembled a messy collage of handmade signs sporting phrases such as “necesito dinero para producir arte, mi pais esta jodido...please help me” [“need money to make art, my country is fucked”] and “soy un pobre diablo de una isla tropical en banca rota” [“I’m a poor devil from a tropical island in bankruptcy”]. Though the double entendre in the installation’s title, which signals both intimacy and protest, may prompt a chuckle, the phrase’s underlying vulnerability is especially haunting now, over two years later, when Puerto Rico has been devastated by natural disaster, the aftermath of which has been exacerbated by the callous indifference of the Trump administration. 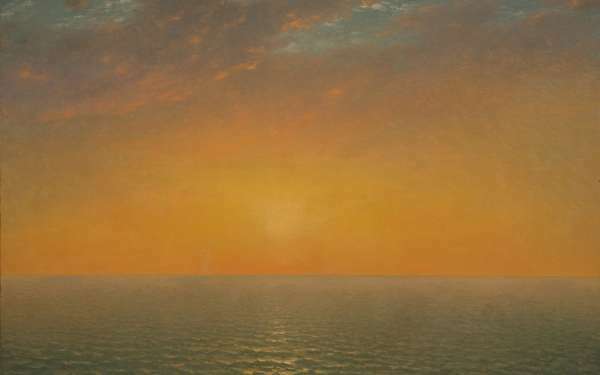 Today, Figueroa’s work reminds viewers that these cycles of fetishism and neglect are nothing new, having influenced visions of the Caribbean for centuries.